One of the main attractions at a wedding is the music. The music at your wedding, in my honest opinion, can make or break the day. 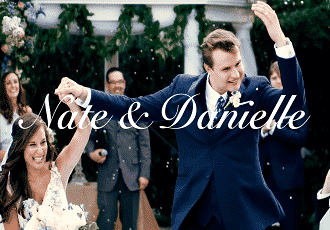 If you don’t have good music at your reception, your guests will not have as fun as they would like, so choosing the right band or DJ is critical in your process. But how do we know which one is for you? There are so many Bands out there, and the DJ population is multiplying astronomically as we speak. 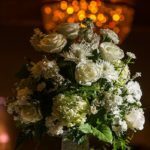 So here are a few tips to keep your special day rockin’ just like you want! If you want the widest range of music possible, go with a DJ. Some bands play strictly 80’s Joel, for example. The DJ has every song available at any time, so keep that in mind. It’s more of an intimate feeling having a band play at the Wedding. Some DJ’s take over with the microphone way too much during these kind of events, and you just want to have fun and celebrate. If this is how you feel, the Band is the way to go. If you have unique tastes, go with a DJ. This leads back to wanting to have a wide range of music in your Wedding arsenal. If you want great announcements, a band may not be the way to go. A really good band may eclipse you and your fiancé. If you don’t want your day to be trumped by a band that’s out of this world, maybe a DJ is the way to go! These are a few of my opinions! Just remember, if you can’t decide (and if you can afford it), why not go with both! 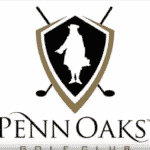 Penn Oaks Golf Club is a private, non-equity golf club owned by several local area business partners who have combined their passion for golf with the course’s exceptional reputation.